Mac's Embrace Me Lipstick (limited edition) came out as part of the Mac 2013 Fashion Summer Sets for Summer. It's a vibrant blue based pink that I feel would look great on any skin tone. 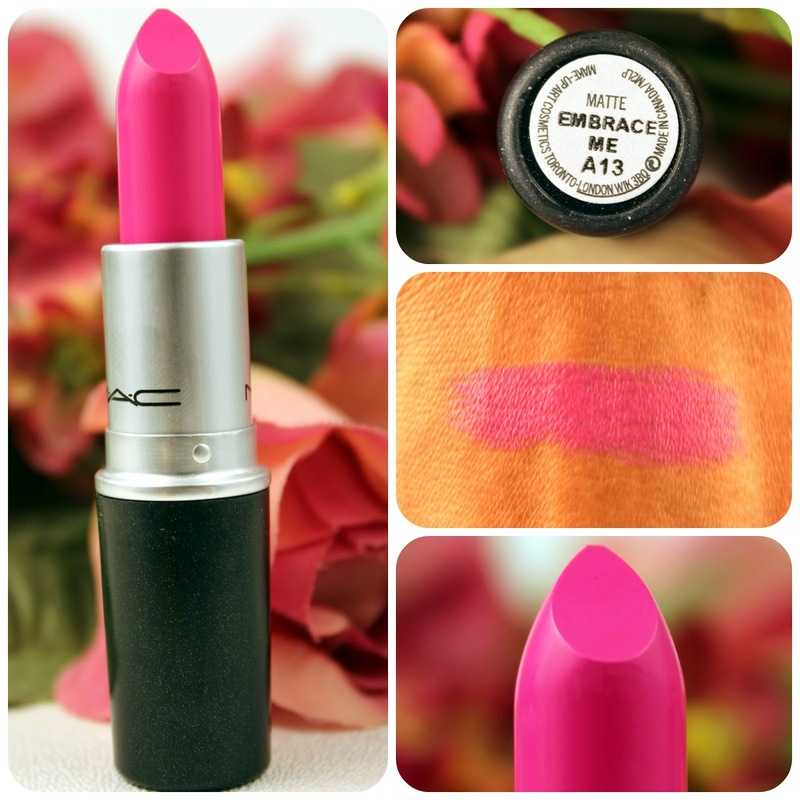 It's a matte formula that looks beautiful with a nice lipglass that would compliment it to give it just a hit of sheen.. A similar color to this would be Mac Pink, You Think. Besides purchasing this one, I also purchased Heroine and Ablaze from the Summer sets.